Have you been shopping for a new home and coming up short? Do you know what you want but can’t seem to find it? Think about building! Buy a vacant, residentially zoned property, and you can create your own personal paradise, specifically to your customizations! Building your own home fits perfectly into the American Dream, giving you a chance not just to own your own home but to create it. There are definitely some considerations you need to think about first, though, before you make the big purchase. Think about your financial situation and decide how much money you can spend. What is the minimum you’ll pay and what’s the absolute maximum? Remember, you’ll be paying for not only the vacant land, but also the building of the home and everything that goes along with that. 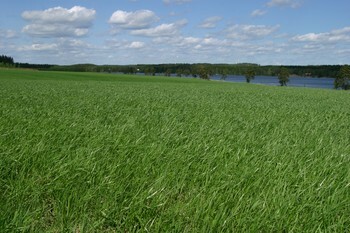 You’ll have to apply for loans, such as the vacant land loan. 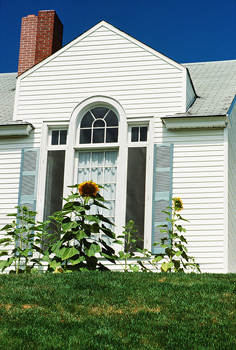 You might also consider taking out a home equity loan on your current residence. You can enjoy tax deductions by doing so. As with buying a home, research the different areas you are considering. Do you want to live on a coast or inland? Do you want a rural setting or a city setting? Are you looking for a breathtaking view or a spot in the best part of town? Where’s the land in proximity to things you need like grocery stores, your work, a beach, a mall or anything else that’s important to you? If you’re retiring to this home, being near commuting won’t be as important as being near daily conveniences or recreation. It all depends on what exactly your dream is for your home. 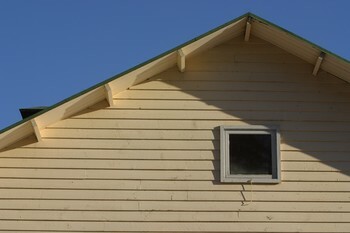 When you settle on an area and the details, go take a look at the vacant properties that are available at BuyOwner.com. Consider the terrain, the size of the lot, if there are wetlands and if you’ll need to clear the lot. Either hire an inspector or very carefully look over every aspect of the land yourself. You’ll also need to find out about utilities. Check with the local utility companies if there are electric, gas and public water services for the land as well as if there are public sewer lines that run to the property. If these things do not exist, you’ll have to allow for the expenses of adding them. When you’ve settled on a property, you’ll have to file paperwork and obtain titles. Before construction, you’ll need an entrance permit and a construction permit. If there are any restrictions to the lot, you’ll have to make sure they are met while building. Contact the town building department to make sure your land is correctly zoned for building your home on, and contact the assessor’s office to find out about tax information, flood-zone boundaries, how far away the home has to be from the street and whether there are any easements. 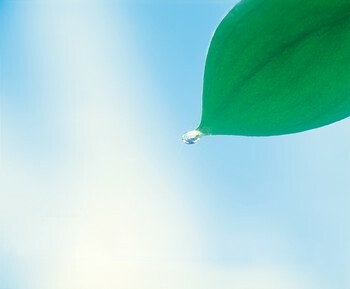 (An easement is the right to use a part of land owned by someone else for a specific purpose.) File your blueprints and the building permit application, and confirm you won’t have any troubles getting a permit. Once everything is in order, let the building process begin! Buying vacant land can be an incredibly exciting, yet very nerve-wracking time. So it’s good to keep in mind the end goal. Because you’re starting from scratch, the home will be completely customized to you and your tastes. You’ll have total control over everything from the flooring to the roof and everything in between, so your dream home can become a reality! It often seems that the general thought on home improvements is, “Don’t pay someone for something you can do yourself.” In some cases this may be true. However, there are certain home improvement projects that should, contrary to popular belief, be left up the professionals. How do you know which projects to take on yourself? Well, there are certain considerations to be made before any work gets started. Think about the project, and these considerations will help you determine whether you can do the project yourself or whether you need to hire a professional. Do you have the time to take on the project? If it’s something simple, like painting a roof or updating cabinet hardware, you probably will, but if it’s a large-scale project, like a whole room remodel, it can take weeks to complete. This might mean that a room in your house is out of commission until the project is completed. If the inconvenience is too much a problem, hire someone who can get the job done quicker. What is your skill level? 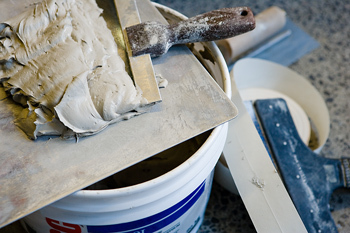 If you are an accomplished home improver with a wide array of skills, you can consider doing many projects yourself. However, if you don’t really know much about home improvements beyond painting a wall, you may want to hire someone who’s professionally trained to make sure the work gets done right the first time around. What materials will be needed for the project? Certain projects require specific tools to get the job done. If this project would be a one-time deal for you, it might not be wise to invest in the pricey tool you’ll never use again. Also, you need to know what building materials will be needed, such as tile or wood. You can go ahead and use the cheaper stuff but it might not be as durable. 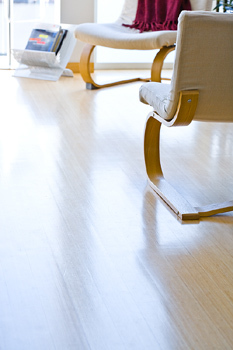 A professional may have the better quality materials you’re looking for. Do you understand the safety issues that come along with the project? Putting on a new roof runs you the risk of falling off the house. Running electricity runs you the risk of getting electrocuted. If you are sure you’re completely capable of avoiding of getting the project done safely you can probably do it yourself instead of hiring someone. Does this project require a permit? Small, cosmetic home improvements don’t need one, but larger projects like additions, electrical wiring and plumbing do require permits. If you hire a professional for these jobs you can be sure that all of the legalities will be taken care of properly. Once you have answers to all of these considerations you can decide which route to take, they D.I.Y. route or the professional route. If you choose to go D.I.Y., make sure you’re up the challenge. 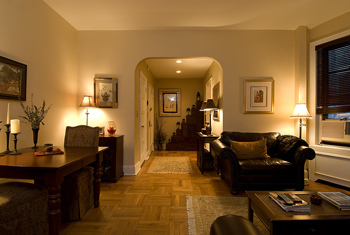 Whichever way you go, the end result will be a beautiful, updated home you can be sure to enjoy! Summer’s here. And that means it’s time to break out the swimsuits, the flip flops, the shorts, the tank top and….. the yard sale signs! Yard sale signs? Yes, that’s right. It’s yard sale season, which is good news for anyone selling their home. Anyone who has ever had to pack up and move to a new home understands that you don’t know how much stuff you actually own until you have to compile it into boxes. Call them what you will–yard sale, garage sale, rummage sale—but know that these events can help with the frustration of packing up and moving because you can sell everything (or almost) everything you don’t want to take with you and make a little extra cash while you’re at it! By following these tips, you can have a successful yard sale–and a lighter moving day! 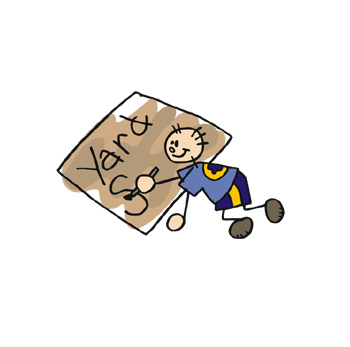 Find out your community’s restrictions and laws for yard sales. Before you start planning, do a little research to find out if there are restrictions on sign postings, times, size of sale and things of that nature. You don’t want to have to shut down because some rule was overlooked. Go through your entire house and collect sale items. Look at everything you have and decide if you really need it in the next house. This can be tougher than it sounds. Don’t let sentimentality get in the way. It may have meant something to you at one point, but if the item has been sitting in the back of your closet since 2005 it’s time to let go. Also, you’ll regret not getting rid of something once you go to pack, and you realize you don’t actually care as much about the item as you thought you did. Once you’ve got all of your yard sale items collected, it’s time to set a date. Weekends are usually the best time of the week with Saturday being the most popular. 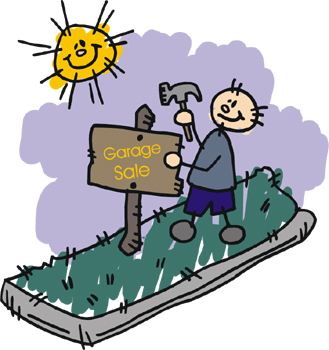 Try not to schedule your yard sale around a holiday weekend or an important community event. Check the weather forecast too. Then, based on your community’s rules, decide on the times of your yard sale and how long it will run for. Will it be an all-weekend event or just one day? You’ll want to start your sale early. People expect yard sales to begin early-to-mid morning so make sure you’re on par with others. Seasoned shoppers sometimes even like to show up early to scope out the goods. If you don’t mind this, then don’t worry, but if you don’t want anyone around until the time you open, you can mention no early birds in your advertising. Once all the details are set, you’ll need to advertise. No one will come if they don’t know it exists right? You can list your sale online, take an ad out in the local paper and post the details on free community bulletin boards. Use word of mouth by telling friends and neighbors to tell their friends and neighbors. Of course, still use signs too. Don’t overdress them and make them out a durable material. You’ll want people to be able to read your sign clearly and you’ll also want the sign to last. Make sure the items you’re going to sell are in decent condition. 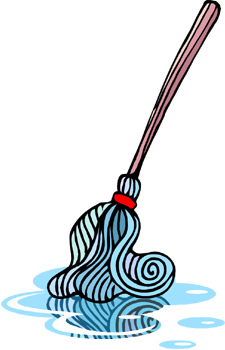 If something is dirty, wrinkly or just plain gross, it’s going to stop people from buy it. To ensure this doesn’t happen, wash all clothes you plan to sell, put any dishware through the dishwasher, clean off dirt and grime from things that have been sitting in a corner collecting dust and just give everything a general once over. Just remember, appearance can be a deal-breaker. Set the stage for your sale. It will look more organized and inviting this way. 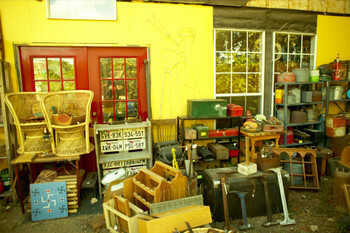 Anything antique put out on front; it will attract people. Set like items together. For example, group all clothes together and organize them by age and/or gender. Baby clothes, teenage girl clothes, men’s clothes, etc. Other groups can include movies, books, toys, shoes or household items. Use plastic baggies to organize small items like jewelry. Remember to put a price on every item and price it fairly because you want it to sell. Again, don’t let sentimentality for an item cause you to price it higher than it ought to be priced. Make sure you have enough change on hand to give back to people. You don’t want to look silly if you can’t make change for someone who’s willing to buy something. Head to the bank before your sale and get about $50 worth of coins and small bills. 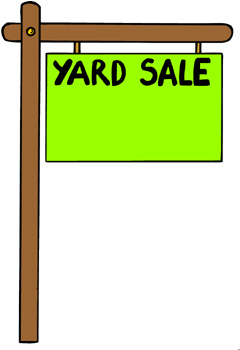 Although you mean business, you also want your yard sale to be fun. The more fun people are having, the happier they’ll be. And the happier they are, the more willing they are to buy! Bring out a stereo and turn up the tunes. Put some balloons out front on your mailbox. Make small talk with customers who stop by. Start a “to donate” pile. Most likely, you will not sell everything you set out. In this case, every hour or so, take the items that don’t seem to gain any interest and put them in a separate pile. You can call the Salvation Army to pick up the items or donate the items to different charities. Don’t host a yard sale alone. Unfortunately there are people out their who like to pull yard-sale scams so it’s always a good idea to have someone run the sale with you to keep an eye on things and keep you company. Remember, your trash is someone else’s treasure. So get out those flashy, yet readable, yard sale signs, make some extra moving money and get rid of extra baggage before the big move!